Most companies want a functional, safe and attractive parking to exist without a lot of thought and energy. ProLine offers full-service parking lot maintenance including pothole repair, parking lot lines, and asphalt sealing. 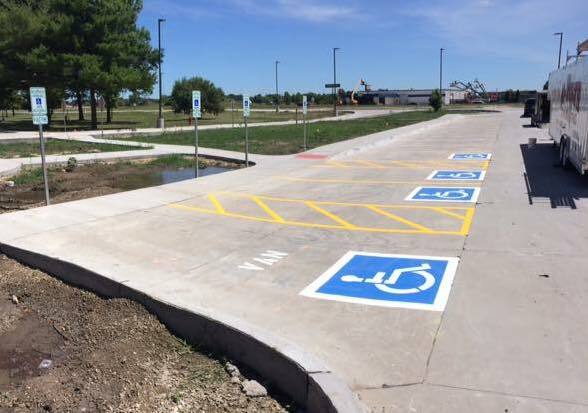 With one call, your parking lot can look and function like new! We are committed to serving customers with quality products, quality service, and timely completion. It is our mission to provide our customers with efficient and excellent solutions to their pavement problems. ProLine Striping is fully insured for our customer’s protection. ProLine also uses top-of-the-line equipment to ensure top-of-the-line service. Our team is committed to continual education and self-improvement in all areas of our business. Each year we attend the National Pavement Expo and attend classes to continually educate ourselves on our industry. At ProLine Striping our team is here to help you meet all your pavement maintenance needs large or small. We will personally take the time make sure your project is completed with excellence from start to finish. It is our goal to make the process as hassle free as possible for our customers.